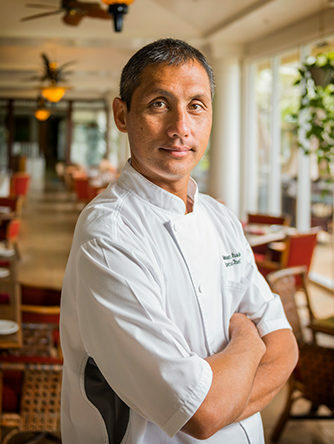 Rodman Machado, executive chef at Aqua Kauai Beach Resort. Daniel Lane photo. Coconut Festival admission is $5, children 11 and under are free. Admission is free for the Cook Off. Add one part Top Chef, one part Chopped, and one part Iron Chef, and you’ve got the Tasting Kauai Coconut Cook Off. The event is the first of its kind, and debuts at this year’s Coconut Festival. Eight of Kauai’s top chefs will use coconut as well as some of the island’s best ingredients to prepare dishes for five judges, and you could be one of them! Kauai’s well-known foodie, Marta Lane, author of “Tasting Kauai – Restaurants: An Insider’s Guide to Eating Well on the Garden Island,” and owner of Tasting Kauai (www.TastingKauai.com), created this competition. Tasting Kauai offers weekly tours as well as custom tours for large families, holiday parties and team building opportunities for chefs, industry specialists and local businesses. For this year’s Coconut Festival, Marta has pooled some of her favorite chefs to compete in the Tasting Kauai Coconut Cook Off. The event showcases how expert hands transform coconut into exceptional dishes. Tasting Kauai Food Tours offer intimate introductions and exclusive access to some of Kauai’s best chefs and farmers. As Kauai’s only food tour company, eating well is their number one priority. Edible experiences are delicious opportunities to learn and offer something unique to visitors and residents, both old and new to Kauai. 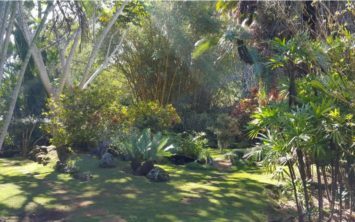 If you’re visiting, it’s an opportunity to see the Garden Island’s beauty through the eyes of a local, while asking experts your culinary questions. Everyone who attends the Cook Off, and who donates $1 or more to the Hawaii Food Bank, has a chance of becoming a judge, affording a unique opportunity to taste spontaneous creations of the newly paired judges. 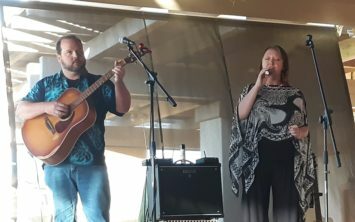 The competition is free to the public and audience members get to ask questions with the help of MCs Addison Bulosan, owner of the Specific Chiropractic Center in Lihue, as well as his partner, Juno Apalla, candidate for the 2017 Kauai County Council. The winning team will receive a first place coconut sculpture made and presented by keiki (children) at 10,000 Hands art school in Kapaa. Besides a seat at the judges’ table, giveaway items include a cooler of ingredients used in the competition (such as Kauai Shrimp, Makaweli beef, Maui Nui Venison, Niihau Lamb, fresh island fish, Kauai sugarloaf pineapple as well as other local produce and Kauai Made products); an autographed copy of Lane’s newly updated book (signed by Marta Lane and competing chefs); a free download of the Tasting Kauai app and one free Royal Coconut Coast Tasting Kauai Food Tour. Jill Marie Landis, a foodie, Hanalei resident and author of the Kauai-based “Tiki Goddess Mystery Series” is one of the judges. She will giveaway a basket stuffed with tiki-themed items and autographed copies of her six novels. Wes Perreira, of the Hawaii Food Bank – Kauai Branch, will also be a special guest judge. Since 2012, Tasting Kauai has donated a portion of all proceeds to the Hawaii Food Bank – Kauai Branch. To date, $2,127 has gone to help Kauai’s hungry and proceeds from the giveaway will go toward their next donation. Register now for a Tasting Kauai Food Tour and receive 10 percent off by entering the coupon code “ILikeCoconuts”. This offer is only valid at time of purchase and not to be used on refunds, exchanges or with any other offer. Discount offer expires Oct. 11, 2016, but once registered, tours can be taken anytime. Visit www.TastingKauai.com to register for a Kauai Food Tour, read blog posts about the competition, find coconut recipes, or call 888-431-6660.